Ray earned his B.A. from Westminster College in Fulton, Missouri in 2000 and his J.D. from the University of Missouri – Columbia in 2003. While at Mizzou, he was a Representative in the Student Bar Association, President of the Phi Alpha Delta Law Fraternity, and was a Student Ambassador. He began appearing in court as a third year law student while working as a Rule 13 Intern in the Criminal Prosecution Clinic with the Boone County Prosecutor’s Office. 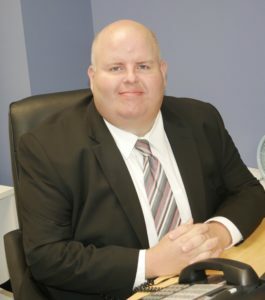 Ray is licensed in Missouri and has over fifteen years of litigation experience. He began his legal career working for a small civil litigation firm in Jefferson City, Missouri. Ray then began his career in creditors’ rights in 2006 at another Saint Louis firm. He has litigation experience with the Fair Debt Collections Practices Act, commercial litigation and creditor’s rights. Ray grew up on a farm in northeast Missouri that his family has operated for nearly 100 years. Ray is married to Sara Bozarth, a social worker; they reside in Saint Charles County with their daughter Annabelle and twin daughter and son Max and Millie.